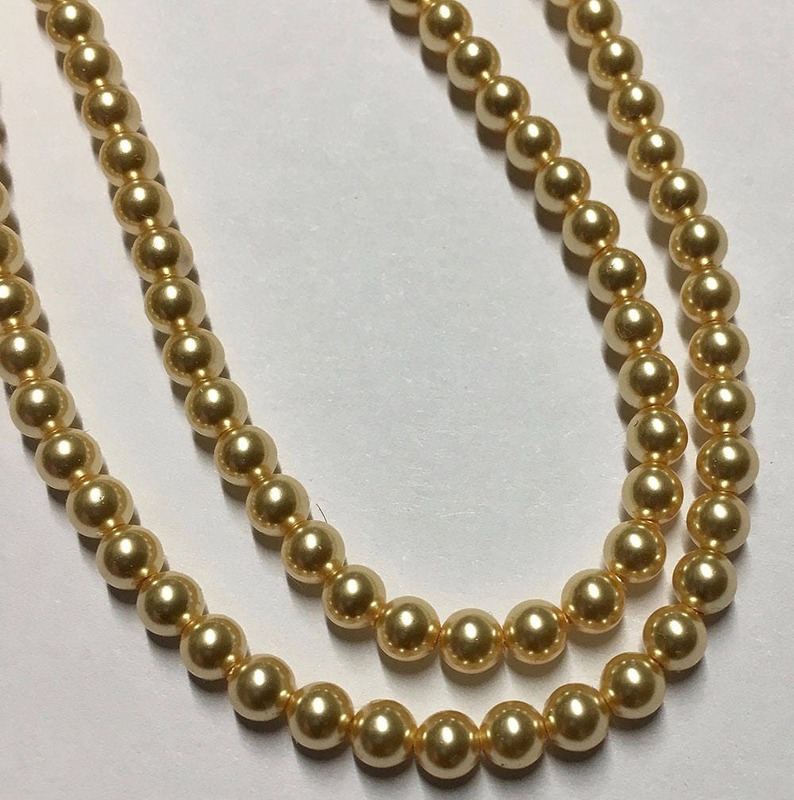 Gold pearl Swarovski glass pearls (Swarovski 5810). These are 4mm in size. Elegant beads and great for filler beads or a fantastic complete jewelry piece. The Swarovski Round Pearls 5810 are the perfect replica of genuine round pearls. They are made of a unique crystal core and are covered with an innovative pearl coating. These pearls possess an exceptionally flawless, silky, smooth and rounded surface. The Swarovski Round Pearl is made of "advanced crystal" and is lead free.